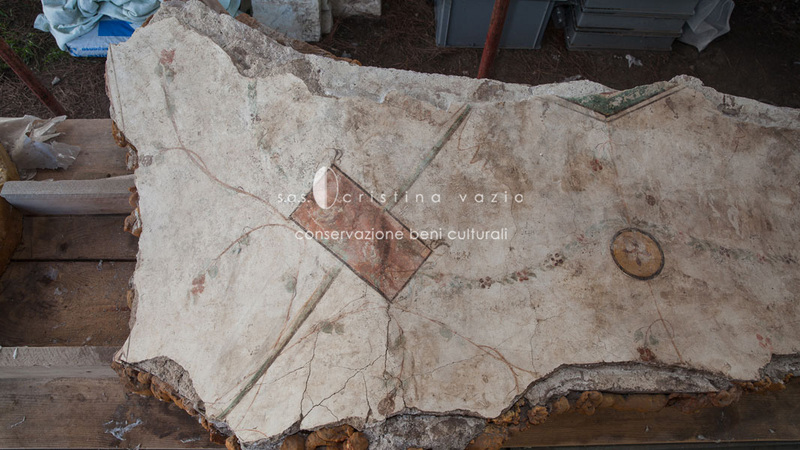 On the western slope of the Palatine Hill in Rome, there stands the complex of the Palace of Tiberius, the Domus Tiberiana, located in the archaeological area. 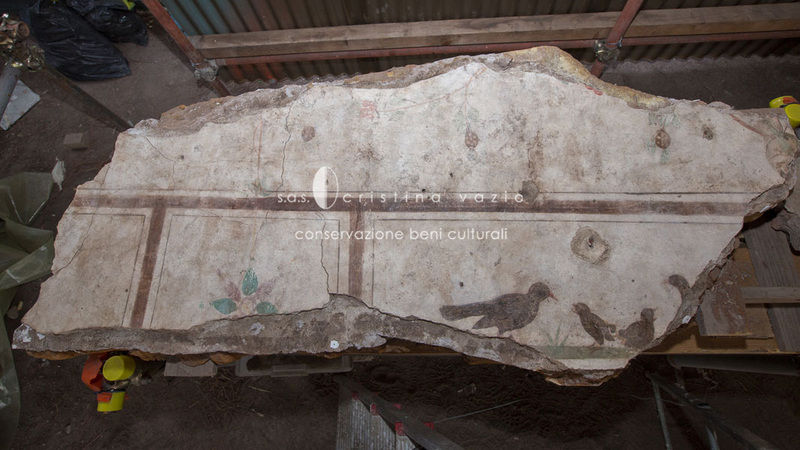 We carried out the restoration on the frescoes from the I-II c. A. D., which were found in various rooms of the compound dating to the Republican times. 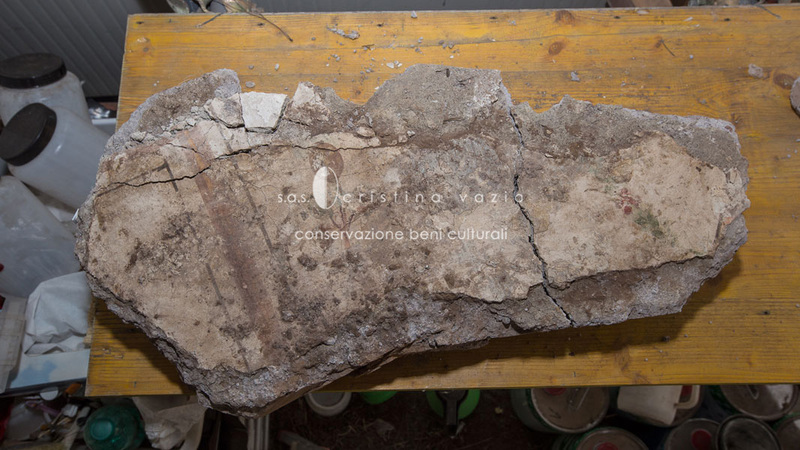 Upon discovery, the vault of one of the rooms collapsed into the backfill. 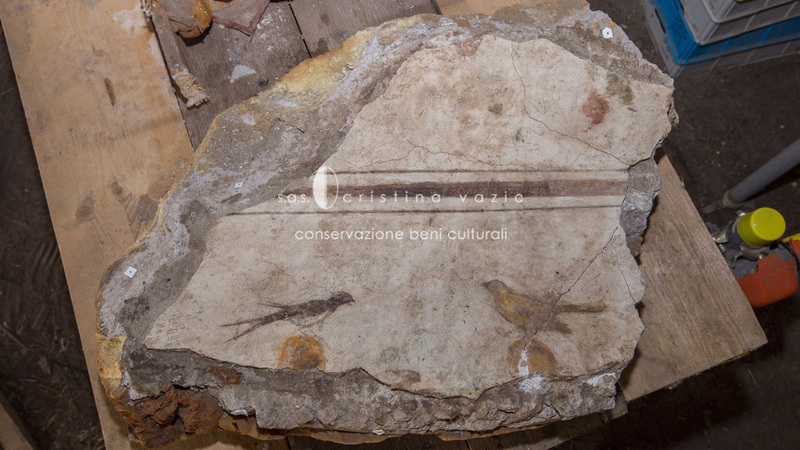 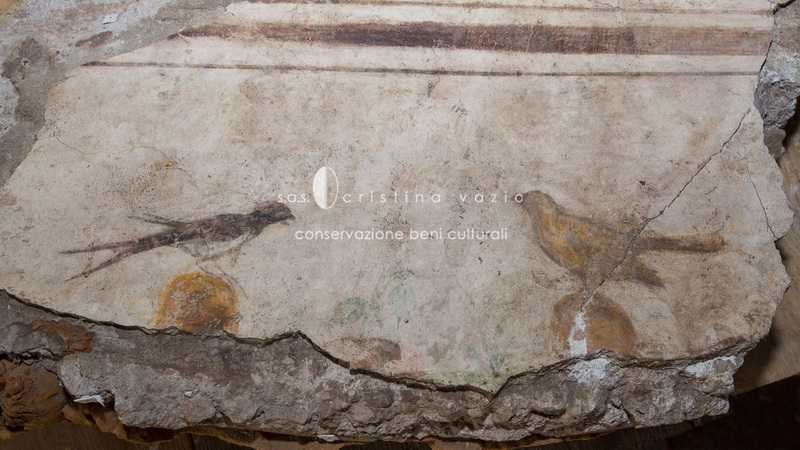 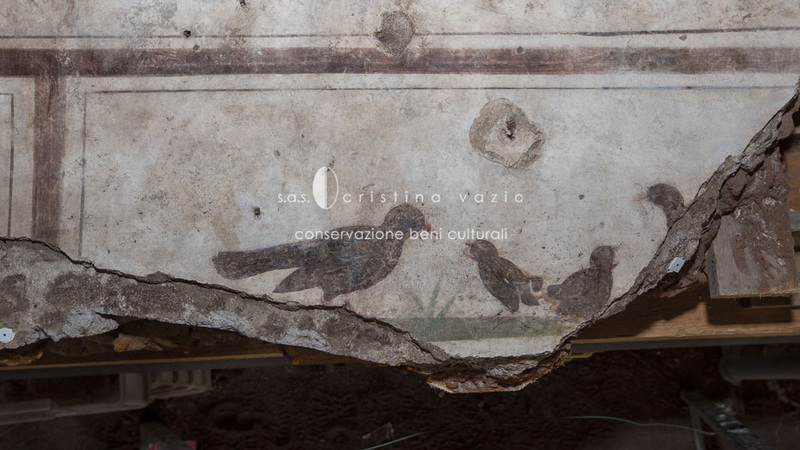 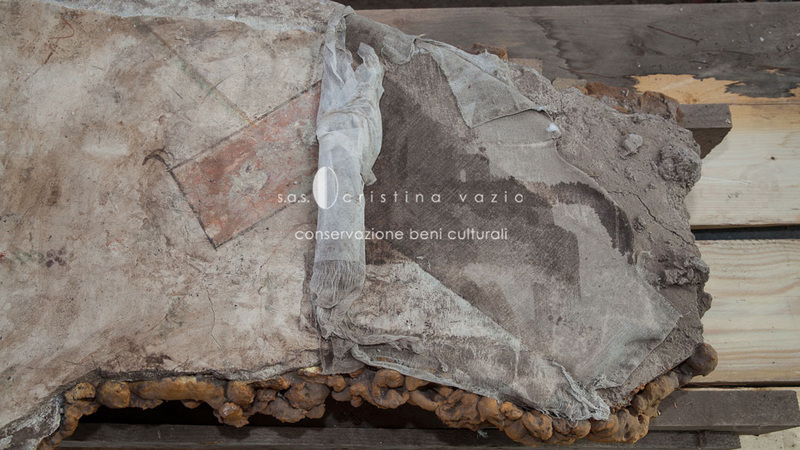 Frescoes found in situ and on the vault appeared covered with a layer of light-colored residue (scialbo). 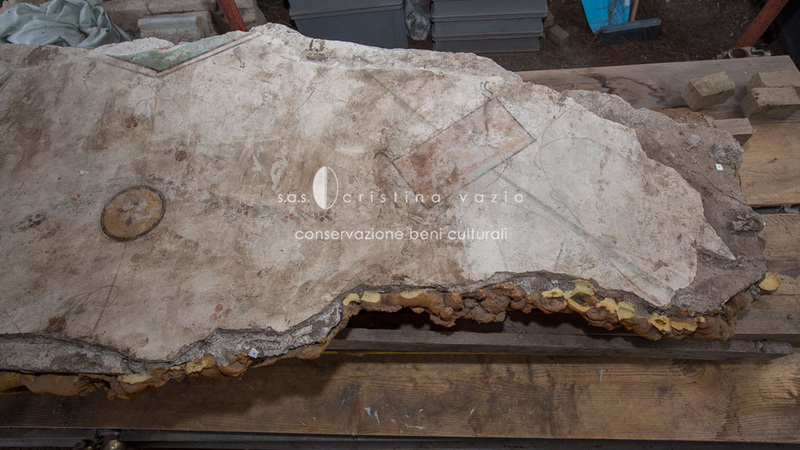 Later analysis and study revealed that these remnants dated to the Roman period. 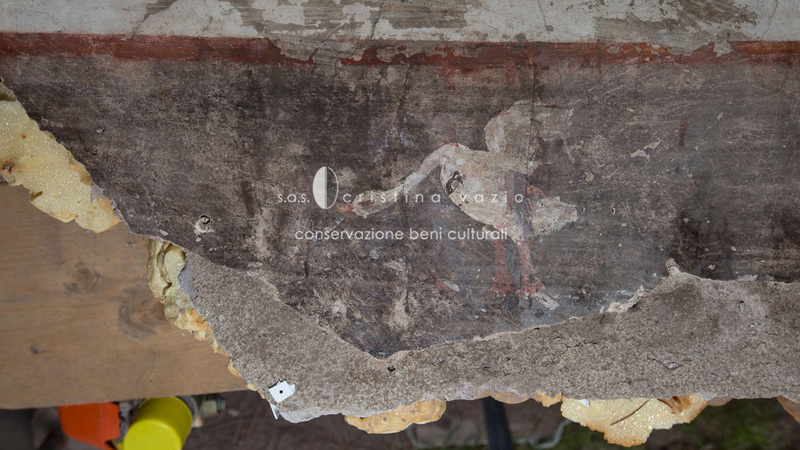 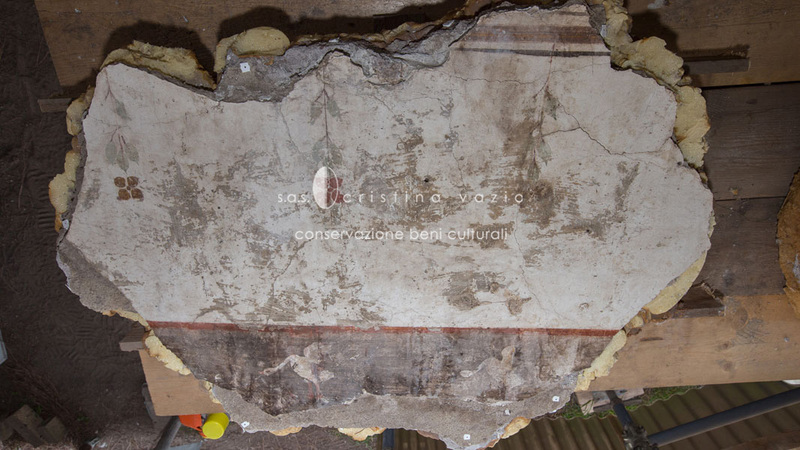 In the midst of a large restorative intervention on the Republican compound (see section “Wall Paintings”), the painted fragments in the collapsed vault have been applied to mobile supports. 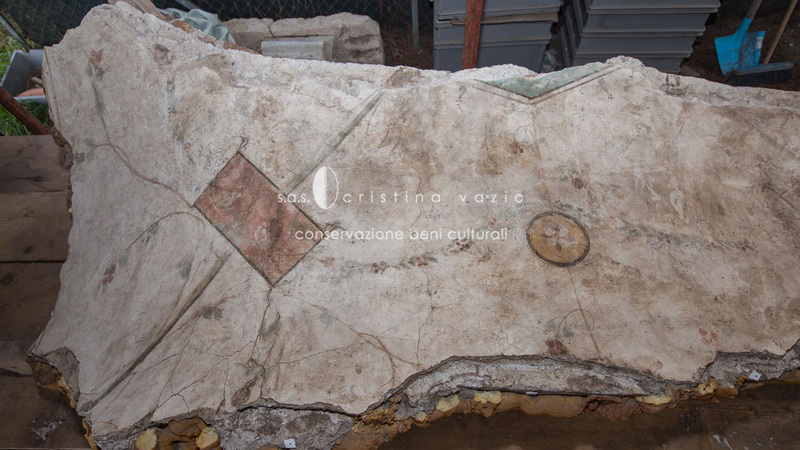 Our intervention involved repairing the fresco decoration of various rooms, fragments in the collapsed vault, and the surrounding pavement. 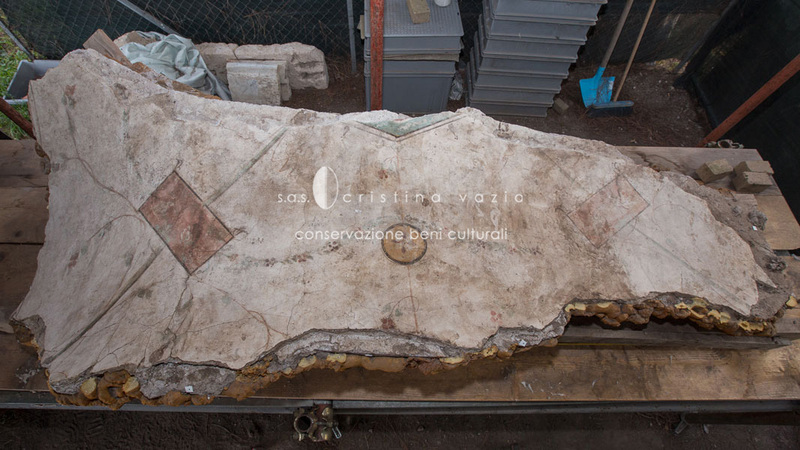 Restoration is ongoing.